Titling something. A big deal or not so much? 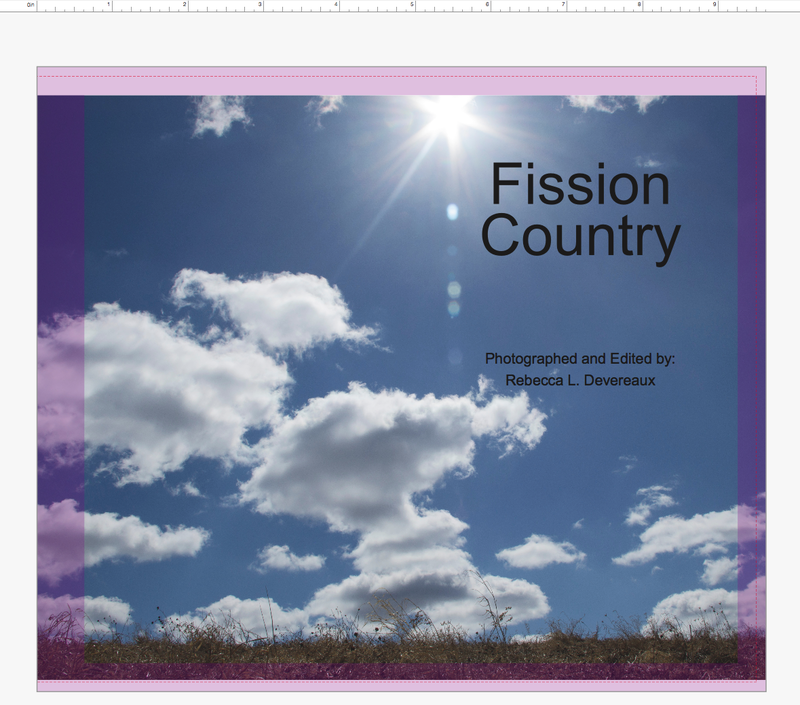 I originally started with fission country because I was interested in what each of those words represented. Fission derives from the words associated with fissure and fracture. The word itself means the splitting apart of something. This is what happens to shale during the process of hydraulic fracturing. Above the surface, this is what has happened in our communities across the landscapes. We’re fighting our neighbors; there is a broken unity among peoples. But what is a neighbor anymore? What ever happened to the concept “be a good neighbor”. Unless you live in an area where community still exists, it’s usually a “fend for yourself attitude.” Ugh. But this is a one result of the contravorsy. The word Country is what it sounds, it’s where we reside and survive. But to digress again, if you think about the ways we obtained this land, it was merciless and immoral. Stolen. Are we still stealing? From one entitie or another? There’s something to think about. Titles can be representive to place or location, or meaning. They also create an identity to the work that you either want or don’t want, and that’s the reason why titles are important. Once you put words on a wall, it automatically identifies you in a specific light. The photo to me is symbolic, but to fresh eyes it’s a group of protestors screaming the words “Dont frack with our water”. Others will see the words and place me in a box without thinking about the meaning behind the words. I have to expect those will not read my artist statement and my reliance is based directly on my images to speak for me. A strong enough photograph can provoke just enough thought. If I can get someone interested in the slightest, then it is a success. Not only am I leading my work with photos, but I will also have audio and a physical piece in the space that you can touch. I want to wake up those senses! I believe it will add more depth to the experience. Then maybe those will read my artist statement? I’m thinking about placing a bowl of swedish fish by the headphones. That’ll draw them in! Kidding of course. So I’m near the end of my editing, and now on to framing and printing. I don’t want frames because I find them to be distracting, so I’m going to check out the cost of face-mounting on plexi. It’s like a cleaner version of gluing photos to gater board. I can’t wait to see the damage. But with only two photos, it may not be too bad. Paper is still up in the air. I may just go with traditional luster; though I love the feeling and look of exhibition fiber paper. Ah it’s just so damned expensive! In other news, I’ll be starting my first internship at WESA 90.5 the second week of May! I’m so unbelievably excited. I think this will be so good for me. After thesis? I’ve been thinking a lot about this. It’s like what do you do after the big shabang? That’s the way I look at it. I’ll be working on this internship 3 days a week all Summer, working for Starbucks and then contining my thesis. And thinking about grad school and preparing for graduation. Maybe take some film classes at Filmmakers? Apply for grants. CREATE. Yeah the list goes on. And so does this blog post. This weekend was an awakening experience for me. I drove 200 miles to Williamsport, PA. A scerene place. The time it took to travel there and back, I covered a lot of thinking ground. I may of exceeded the amount of time one should spend by themselves, but between this time and the seminar I went to the next day, I finally had that breakthrough moment. I’ll have specifics about that seminar in my next post! Theres someone currently singing Stand by Me outside my window. But only the chorus part. Oy. That is my musical delight while writing this! I’ve been thinking about the common themes and threads that are in my work. I’ve always been interested in the physical, specifically anything dealing with industry. Something that is physically in front of me, something that I can grasp a hold to. In a subject where you can so easily fall spiraling down this unpleasant hole, focusing on what is right in front of you I find to be the most comforting, and just as compelling. I’m in the middle of writing my thesis paper and i’ll get going on a thought and then get stuck because after one point I see all the different veins I can go down, but is it really necessary information? In my paper i’m worried about filling it too much with useless information where then when people are reading it they lose interest and miss my point. Much like how I feel about these blog posts. How much time do people really spend reading someone else’s mess of thoughts? You still have to be engaging whether or not your internal voice is dull. This pulls me to think about, How are we reaching the right audiences? Instagram and Tumblr, oh how I hate Tumblr, is a prime example of this. First of all, any personal work you post on there is open for the public to steal. Why would you do that to yourself, just for a day of popularity (psst you’re not the only one with 1,000 likes) from strangers that might be liking or reposting your photo because of reasons that have nothing to do with your intention or concept. “Oh the colors were pretty, let me reblog this.” What? This was from a very serious protest and you shared this because of the colors? Just as an example. I’d rather be recognized by a few valued creatives, then get 50 likes from people that have no clue. This goes back to having an engaging voice, but also be aware of your audience. If you post a photo of a protest where there is no caption and you tag it as “colorful” then that’s your mistake. Don’t broadcast your work in avenues that have nothing to do with your concept just to create a larger audience, because then all your doing is creating the wrong audience. That is at least the way that I look at it. What i’ll do about my paper is probably include all those different veins, then condense it down so that it really emphasize my point. Ugh, i’ve never been good a drafts. I always get stuck on this is what the final product needs to look like. Just write Becca, write. Today I interviewed Andy Ranoni, the district supervisor of engineering at Performance Technologies. He’s worked in the gas and oil industry for 4 years starting in North Dakota and now in Ohio for the past 2 years. Performance Technologies is a service company that specializes in Hydraulic Fracturing. They are one of many service companies that are hired by natural gas and oil companies to work on varies well sites. Andy said he knew he wanted to be an engineer since he was kid building things and watching his dad work on the car, he said it was the only thing that made sense to him growing up. Once he graduated from college, he said by chance he ended up in the Gas and Oil Industry starting out as a field engineer. This is a piece of the story that has been missing. Since I started this project i’ve wanted to sit down with an engineer in the field and literally just have a conversation with them about it. Like there is only so much you can read from online articles and books and to be able to ask questions – that you get frustrated with google (for example) for not answering – It’s like finally! Questions answered. From an actual person. The only challenge today was that I was unable to document this meeting or anything. I snapped a photo of the sign driving in, but that was the extent of what I was able to do visually. I was able to do audio so that was good. I mean I tried, just for a portrait of some sort but there was no budging. If this had been an interview planned several weeks in advanced I would have contacted the marketing department for permission, but this all literally happened in 48 hours. I got a lot of good valuable insight so we’ll see if I can’t get that permission and go back. Maybe it’s that easy? Things I’ll learn as I go. Next up, I followed up with two of my sources – just waiting to hear back from them. I also have in mind to contact two other people on my list of sources. It’s Tuesday? Almost Wednesday I guess. So tomorrow i’m getting my 4×5 film developed that I shot at the Hildebrand Farm, so I’m super excited to see the outcome. I have to finish my paper this week. I’m so thankful that I was able to take the week off from work, and that I had this interview today, now I feel like I have a sufficient amount of information to at least get a good first draft. Oh and the fact that if I don’t get this paper in this week I fail. Well… that is a pretty damn good reason too to get this paper done i’d say! After this week there are 5 weeks until the show. Oy. 4. What kind of paper? Ah. Aside from being off of work this week, I was finally able to go home for a while. I haven’t really “lived” or resided in Ohio for almost 4 years now, but every time I come back I realize how much I truly miss it. Even when i’m in Pittsburgh I miss it. Before I couldn’t wait to be in the city. I not only liked the idea of living in the hustle and bustle of a city, but I liked the idea of being invisible. Not to go all loner town, but there was something cool to me about getting lost in a city where nobody knew your name. You could stay and go without a trace. I loved that. Now that i’m back in my small hometown, you almost always see someone you know, even during times you’d really prefer not to see anybody you knew. Which it’s a bad thing, it’s just kinda inevitable. But those times you go to the gas station in the middle of the night wearing sweatpants that aren’t too flattering but then you don’t really care because even when you do quote on quote care you dress not too far off from that, except replace the sweatpants with jeans and the shirt usually one that could fit two people. Those moments are well, special. But including this, I miss that small town feel. I’m getting in some much needed family time too which i’m incredibly thankful for. Although this town has lost a lot of its familiarity because i’m no longer a constant around here, some still exists and i’ll take it. It’s like when i’m home I can finally gain some clarity. With clarity comes focus, which is what I need desperately. It’s gonna take a strong push to get me back to the burgh at the end of the week.